If you need to start building credit, there’s no better way to do it than with a secured credit card. Here are 3 recommendations for secured credit cards to help you get started today. A while back, a friend of mine called me asking for a favor: She wanted to borrow my credit card to buy something online. To which she told me she didn’t have one. Here’s an exclusive look at my reaction in GIF form. After I finished pulling out my hair, I suggested that she get her own credit card and start building her own credit instead. My solution to her: Get a secured credit card. A secured credit card requires you to put down a few hundred dollars into a savings account. That money is used as collateral that the bank uses when they issue you credit. This is typically the same amount as your credit limit. For example, if you deposit $500, that means you’ll have $500 in credit to spend. It’s like a deposit that the credit card company holds on to until they deem you trustworthy. And if you consistently pay your credit card bills on time, you’ll eventually get this money back. After a few months of this, you’ll also be able to graduate to a regular (or “unsecured”) credit card. For my friend, she didnt have any credit or steady income. This made signing up and getting approved for a traditional credit card difficult for her. With a secured credit card, she’d be able to build solid credit without having to worry about her lack of income. A secured credit card can also be helpful for anyone looking to circumvent the Catch-22 of needing credit to build credit: You can’t build credit unless you have it. What are some good secured credit cards? With the minimum security deposit, you’ll also receive a $200 line of credit. If you make your first 5 monthly payments on time, you’ll gain access to even more credit (solid encouragement for you to be good about your credit). Great secured credit card for anyone who has bad credit or just wants a reliable card to establish good credit. You can also use your debit card, a check, or money order to put money down for the security deposit (no traditional bank account needed!). While there is a $35 annual fee, you can get it waived using the right script. This one comes with rewards including 2% cash back anytime you spend money at restaurants and on gas, and 1% cash back on everything else! Also, after eight months of using the card, Discover will automatically review your account to see if you’re eligible to be upgraded to an unsecured card. If you have a bad credit score or are nervous about the seemingly daunting task of building good credit, let me make one thing clear: You can always make your credit score better — even if it’s currently nonexistent. And you don’t need to be a personal finance weirdo like me in order to raise your credit score. Instead, you need to start using a simple system that’ll help you improve your credit score. Before we jump into the system, though, it’s important to understand what your credit score is and what goes into determining the actual number. Using each of those elements, you’ll receive a number between 300 (bad) and 850 (good). This number is your credit score. The biggest portion of your credit score is determined by your payment history, or whether or not you paid your bills on time. That’s why it’s of the utmost importance that you do so if you want a good score. In fact, just one missed payment means your credit score can take a 90 to 100 point hit. That’s why you should automate your finances so this is done passively for you every single month. A while back, I created a video that shows you how to automate your finances in 12 minutes. Check it out. This system allows you to subvert your limited willpower by helping you save money without ever having to do it yourself. You can set it up so you’re paying off your entire credit card balance each month — and even if you can’t, you can still improve your score by paying at least the minimums on time (though you should pay everything in full). This system goes beyond your credit card, allowing you to passively save money for the things you love, pay off all your bills on time, and invest money for retirement. Big wins all around. If you haven’t automated your finances already, take a break from this article to do it right now. Seriously. It’s that important. Once you’ve done that, let’s move on to another important step: Getting rid of your debt. Debt is a HUGE detriment to your credit score with “amounts owed” representing 30% of your number. That’s why you never want to carry a balance on a card, especially when you’re just starting out with a secured credit card. Build those good habits now. Getting rid of your debt is so important, that it should be one of the first things you do if you want to work towards living a Rich Life. (And you shouldn’t be looking at secured cards if you have other credit card debt. Pay that off first.) That’s the main reason why I don’t allow anybody in debt to take my courses. Pay off your credit card debt, IWT style. Case study: How one reader cut the time to pay off her debt from 33 years to 5. Luckily, if you’ve automated your finances, you’re already well on your way to getting rid of your debt. Step 3: Spend money on the card — but not too much! It isn’t enough to have a line of credit open. You also have to use it if you want to build good credit. Too often people think they need to cancel their credit cards in order to recover from a bad credit score. However, this is a pretty bad idea. After all, 15% of your score is represented by your credit history and 10% is represented by the types of credit you have open. If you cancel your cards, you’re deleting all of that history! Subscription services such as Amazon Prime, Spotify, or Tidal (just in case Jay-Z is reading this). Utilities such as water, cable, electricity, or phone bill. Ride share apps like Lyft or Uber. This way, you make sure your card is nice and active and you get to maintain your credit history. And remember: You’ll want to pay off everything in full each month if you can. I realize that sometimes emergencies come up and there might be the odd month or two where you can’t pay all of it off. That’s okay! Life happens. The important thing is that you remain as consistent as you can and work towards building solid habits that’ll help ensure your financial future. 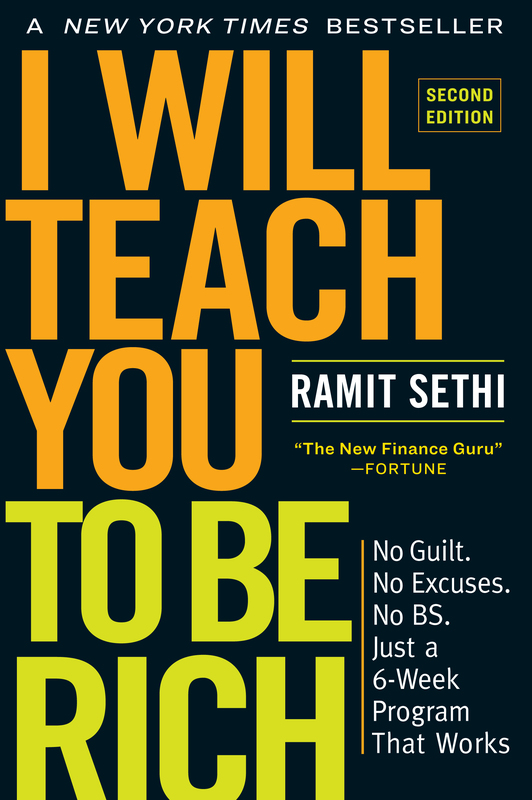 You can now get a full chapter of my New York Times bestselling book, I Will Teach You to Be Rich, on optimizing your credit cards for free. It’ll help you tap into even more perks, max out your rewards, and beat the credit card companies at their own game. I want you to have the tools and word-for-word scripts to fight back against the huge credit card companies. To download it free now, enter your name and email below. Yes, send me the free PDF! You don’t need credit to be able to buy things. No one does!! Your credit score is nothing but a measurement of debt. Save up, pay in cash and you won’t have to worry about payments and interest rates! I’m glad you advised other action. Nothing will screw up a friendship more than merging finances (which this is the first step towards doing). More to the point, you don’t need an income to get a credit card. Fill in an income of 0, and you’ll still probably be accepted. I filled in zero income once, and the application was rejected as “incomplete”. So I called and said it’s quite complete. It’s zero. And the woman just said, “that’s incomplete.” Maybe there was a wink in her voice. Anyhow, I stopped applying for CC’s that ask about income. Except when I have it. But I don’t get it: If she doesn’t have an income, how’s she going to pay off her credit card? I guess that’s her problem. “Imagine how angry it made me!! !” Probably about as mad as the flawed Dr. Koop analogy makes me. “Eating only butter” implies that your friend has been doing things to harm her credit. Maybe she has, maybe she hasn’t. From your story, all we can tell is that she doesn’t have an income. Not advisable, but a common enough circumstance, especially if she’s a student. Fortunately for both of us, we can blog about all these things and not waste our time being angry. And armccoy seems to be a follower of Dave Ramsey, who preaches a no-debt-whatsoever policy. I completely disagree. if i had a few hundred dollars saved i wouldn’t need a credit card. do you tell someone with no car to drive themselves somewhere? ursula: You don’t use a credit card because you don’t have money! ARGH. Use it to build credit, use it for consumer protection, use it for convenience–but always pay it off at the end of the month. Read the rest of this site for more info. What complete and utter crap. Building credit is a myth. You will spend less when you pay cash for big items – more negotiating power, no interest. And a student should have no less than 12 pre-approved CC offers in their mailbox each week, because all of them do. They give CCs to dead people and dogs. Bad credit scores does not equal no CC offers. And, Ramit, Dave Ramsey – unlike yourself – has something called expreience. his plan works, yours is based on myths, half-truthes, knee-jerk opinions, and what your broke finance professors taught you. That’s probably okay as long as a person is disciplined enough to actually pay off the whole balance at the end of each month. However, reality being what it is, the majority of people just don’t use credit cards in a responsible way. And yep, I think Dave has a good common-sense approach to managing money. Saving up, sticking to a budget, and paying in cash definitely keeps you out of the financial doghouse. This no debt stuff doesnt really make sense to me. Should I save up until I’m 45 to purchase my first home. Then maybe I will have enough in my mutual funds and IRA in order to pay the 500 grand it will cost for a average house in 24 years? Your credit history (and therefore credit score) does affect how much money you are approved for, and what interest rate you pay. This Dave dude may have plenty of experience, but so do all the other 50 year old people out there who are in debt up to their eyeballs! Also remember that Dave is making money everytime you listen to him, Ramit makes little to no money off of this blog. #10: Does it take any more discipline to pay off a monthyly balance than it does to not go into debt at all? Internet banking actually makes it pretty easy to pay off your monthly balances – I spend an average of 5 minutes a month paying my bills. Credit cards are merely a tool which can be abused and misued like anything else. It doesn’t take much effort to use them properly, in which case they’re a great convenience. chances are you can save up and pay cash for a house in a reletively short period of time (some people are doing it in 3-5 years). Its discipline and living on a tight budget. Your FICO score (i love debt score) only affects your mortgage if you use munkey lending (FICO score lending). Maunual underwriting actually looks at the person and their responsibility. Pay your landlord early or on-time for 2 years and stay out of debt and you will qualify for the same rate as someone with a “great” FICO score. See the FHA guidelines. The difference with Dave vs. the broke people you mention, is that he learned from his mistakes. I don’t see the relevance, but I listen to Dave online thru his website, which if anything costs him money for the bandwidth. I don’t see anything wrong about Dave making money by selling his plan anyways. besides, you’ll recoup the low cost in no time. If the “no debt stuff” doesn’t make sense, then listen to his show. He’ll explain it. He’ll answer each and every one of your questions with the wisdom that comes from a proven plan that works. Matter of fact – listen on Friday. Listen to those people calling in to scream “I’M DEBT FREE!”. Listen to how its changed their lives, and how great it feels. I made several stupid mistakes when it came to money while I was 18-21. It was horrible and I couldn’t get a credit card offer if I asked for one. While paying off debt I learned from my mistakes and also learned how to build back my credit. I got a secured visa with a $300 limit that I only used once a month for a meal or something small like that. I payed the bills as soon as they came and soon enough my credit score started going up and the credit card offers came rolling in(which I send straight to the shredder) So I definitely recommend a secured credit card for someone who can’t get a credit card because in today’s world it’s hard not to have one. You can be debt free and have good crdit when it comes time to buy a home. It’s called alternative lines of credit and any lender will use them. Your cell phone bill, your electric bill, and rent payments are some of the things included. If you are not discplined enough to pay off your credit card each month, then sign up for a service like Upromise and make part of the interest back. Example, my credit card interest is 9.9%, I carry about a $200 balance. If I go out to eat, I make sure it’s a place I am getting 10% back to offset any interest I may pay. Granted you don’t see the money from Upromise right away, it is invested, which means you are making more $ off it. You can cash out at any time though. As for credit scores, they are a joke. Mine is low because my mortgage balance and credit card balance are TOO LOW. It seriously tells me this when I pull my score. I thought not maxing out was a good thing, but not in the eyes of creditors. It’s like welfare, they all work to keep you on the system, otherwise they make no money. Paying for things in cash is better than credit, you actually own it. Cash is always best. As for the comment about not buying a house until you are 45. If we start teaching our kids to manage money right and put away some money for their house, just like college, at 25-30 they could put a huge chunk down and save on interest rates. Actually if you’re just worried about getting a credit card, its quite easy. You can get a credit card that is backed by a savings account. Basically the credit card limit acts like a debit card in that its limit is set to the amount inside your savings account. By that, the bank sees no credit risk and you get to spend as much as you put into that savings account. Easy. Good advice on secured credit cards. Great way to establish credit. ( Just found this site a couple days ago so going through some old threads for the first time). That Dave Ramsey stuff is BS and he lies. Maybe he doesnt use personal credit, but his company uses credit and is deliquent on several accounts. I pulled their Experian Commercial credit report ( yes this is legal and anyone can pull Experian or Dun&Bradstreet reports of their competitors, potential clients,etc) and his company averages about 1 late payment per month and carries debt monthly. You know the company that pushes his books, Come to Jesus credit advice,etc. That guy is a fraud and his advice HARMS his followers because mortgages with the lowest rates DO rely on FICO. he also advocates purposely paying higher deposits on utilities. Not to mention it is VERY easy for him to not use personal debt since he makes millions off his followers and uses extensive corporate debt. BTW, if you want to order something off his website, gotta use a credit card. BTW, it’s not a credit card that is needed at www.DaveRamsey.com, it’s a debIt card. He doesn’t accept credit cards or slander as you choose to. Rich Jerk, if you can already save to cover your expenses, why would you want to pay someone to use their money when yours is free to use? Here is the trick for free cars. Yes, free cars for the rest of your life. Start with a paid for car. Now save that $475 payment you were going to make for 10 months. For example, your current car is worth $1500. $4750+$1500 is a $6250 car. Not bad. In another 10 months you have another $4750. $4750 + $5500 = $10,250. Hmm, not bad for another 10 months. Now, let’s save that $475 for the remainder of that 6-year sports car loan into a good growth mutual fund. This will be about $32,000 in 52 months. In 4 years, you can sell your car for $5k. Take $12k out of that $32k mutual fund and you are left with $20k and a $17,000 vehicle. You get a really nice 1-2 year old car free car every 6 years! Now continue those $475 car payments into that mutual fund and save for that house and retirement. Oh, and you can retire early like this and not have to worry if the government will stick you in a underfunded overcrowded nursing home when you are old. When you need a mortgage, take out one that is no more than 15 years and payments no more than 25% of your monthly income. Someone can look at your financial status rather than any monkey looking at your I love debt (FICO) score. Not only that, but having 0 income also means she’s got no means of paying you back for whatever she puts on your credit card. The fact that she’s asking to use a credit card means she doesn’t have the money in savings either. Why the HELL are you advising her to get any kind of a credit card, secured or otherwise, when she has no income? What kind of mental midget are you? I need a credit card, but I don’t have income…..WTF? This is a recipe for disaster. You absolutely do not need a FICO score to buy a house, or anything else. Just simply find a lending institution that does manual underwriting. We, as a society, have been brainwashed into believing we will always have debt and always have payments. 40 years ago less than 7% of homes had a mortgage, today, less than 7% do not. Once you can get out of debt (i.e. student loans, car payments, credit cards) this frees up a tremendous amount of monthly income, which is your most valuable wealth building tool. But, back to the young lady at hand, it’s crazy to think that someone without any income needs a credit card. Your concept of paying it off every month works, on paper, but she doesn’t have an income!!! It also does not account for the fact that consumes regularly purchase up to 24% more when using plastic as compared to cash. Cash hurts. There is an emotional attachment and it hurts to hand it over. And it should. This will cause us to think about our purchases and evaluate them carefully. So, what does this young lady need? A job. A means to support herself. Cash flow. Is she in school? Maybe. Does that mean she can’t work? Absolutely not! One final word- PAY WITH CASH!! Hi guys . I just moved to United States ( Virginia ) Im a piano instructor and I get always check or cash from my students and they write on the check’s title CASH . anyhow I dont pay taxes because they dont know I have income . anyhow , Do I need to pay taxes to build a credit ?? Upgrade your list your own personal distinct way, then take out your class on the field to contend with pets. The game employs audio along with artwork just like SimCity (2013), though it is somewhat downscaled to be able to remain in the iOS and Android gadgets’ visual capabilities. and there is better unleashing of the attributes. I like to travel, but I must go to the airport to buy tickets, and I must stay in the shabbiest hotels because nicer hotels will not accept cash or debit cards. If you don’t fit the mold, you’re screwed. I angrily hope for revolution.